today we celebrated the life and mourned the loss of a wonderful woman that I am proud to call “Grandma” even though I married into the family. Doris Puelston was a gem of a woman – spunky, happy and hospitable to the end. On Monday, the Lord called her home to glory and she rejoices with Him even now in her eternal home. 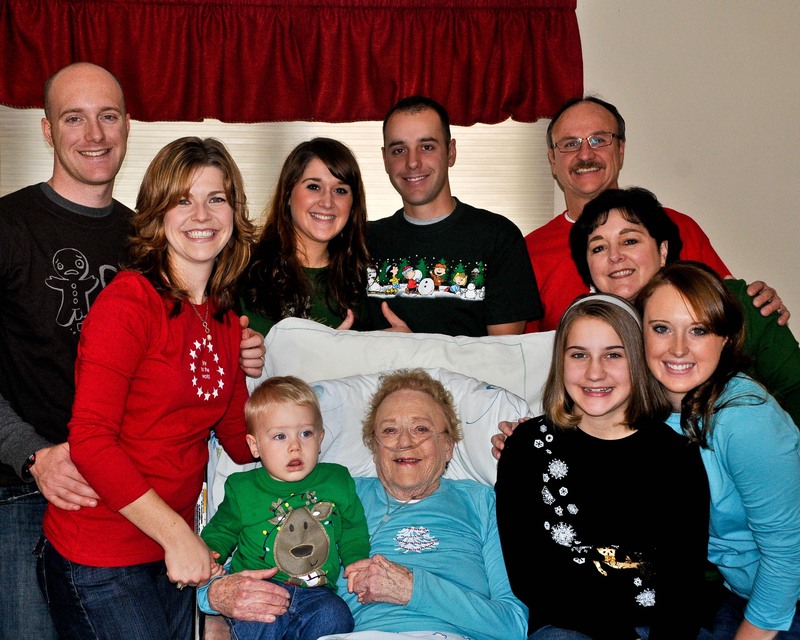 this picture was taken on Thanksgiving, which was one of the last times we were all together with her lucid and feeling chipper, despite the illness that ravaged her lungs. today’s memorial service was a sweet time of remembering the special lady she was and her legacy of love remains among Kyle’s family members. And we all look forward to the day we will all be reunited in heaven! In memory of Doris M. Puelston – June 2, 1931 to January 17, 2011.
today (just got back now, in fact) J-Boy, Nikon and I took a lovely walk around our neighborhood. Packing a 30 lb. 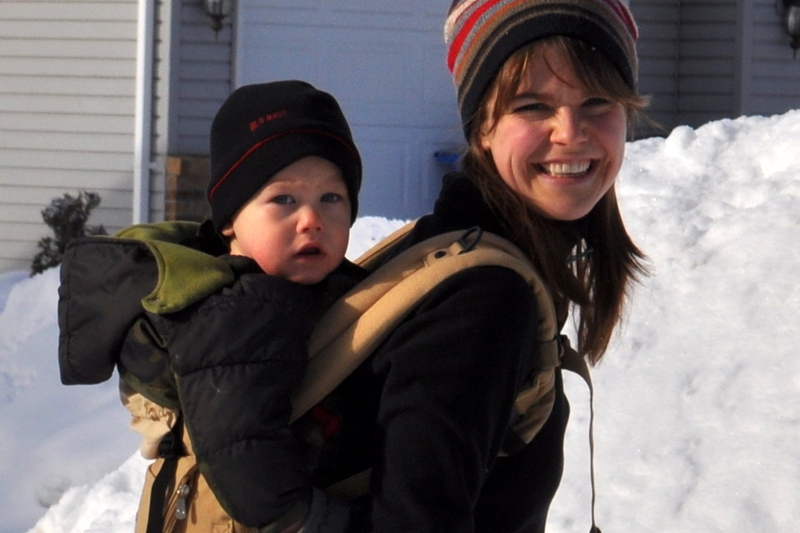 toddler on my back for 3/4 of a mile trudging through the sloshy snow was kind of challenging! This year I decided to do a 52 week self-portrait challenge. 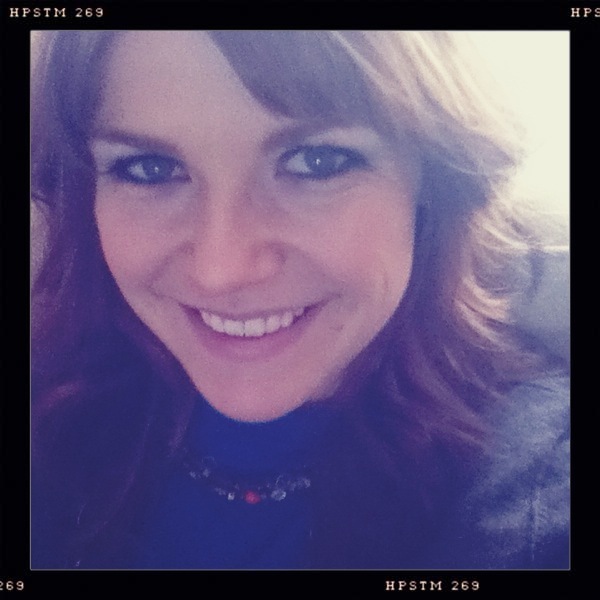 I’m not very technical behind the camera, and some of these will definitely be taken on my iPod (thank you, Hipstamatic app! ), but I thought it would be a fun challenge for my narcissistic side to take a picture each week. I promise to be creative sometimes! here I am last week: 1/52. With my Jaclyn Smith hair and all.